We have been delayed so long that our friends that were way behind us finally caught up. Our next weather window looked so perfect it was scary. 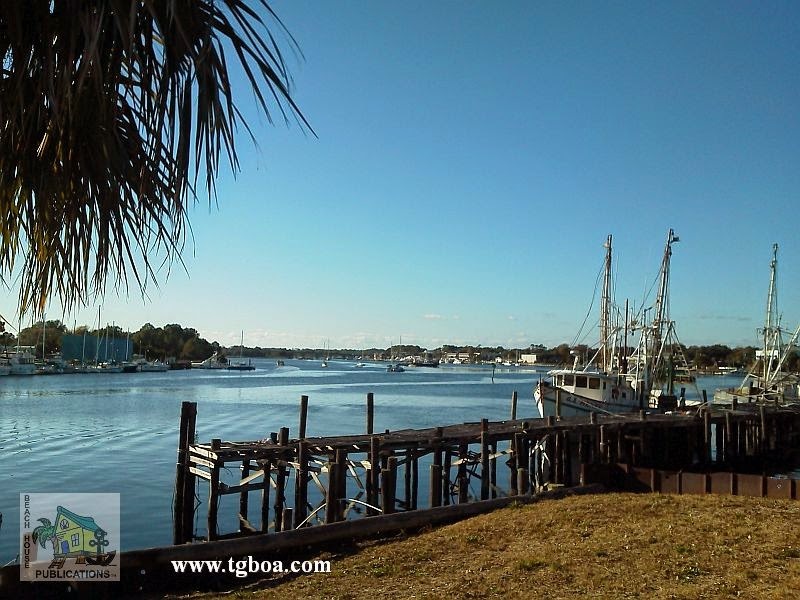 The two previous attempts to cross the Gulf of Mexico from Carrabelle to the Steinhatchee River had met with failure. Once because the weather forecast was not what it was supposed to be and the second time due to engine problems. So it was with a certain amount of anxiety that we began attempt number three. What is it that is said about the third time being a charm? Our friends would be accompanying us along with another boat and couple we had met along the way. How perfect could it get? Well, not so much. Boardings On The Water. What Are My Rights? Keep in mind that we are not attorneys nor do we have any expertise in the laws regarding these actions. Every Skipper must make their own decsions when they find themselves in a boarding situation. The following are only our thoughts and opinions. 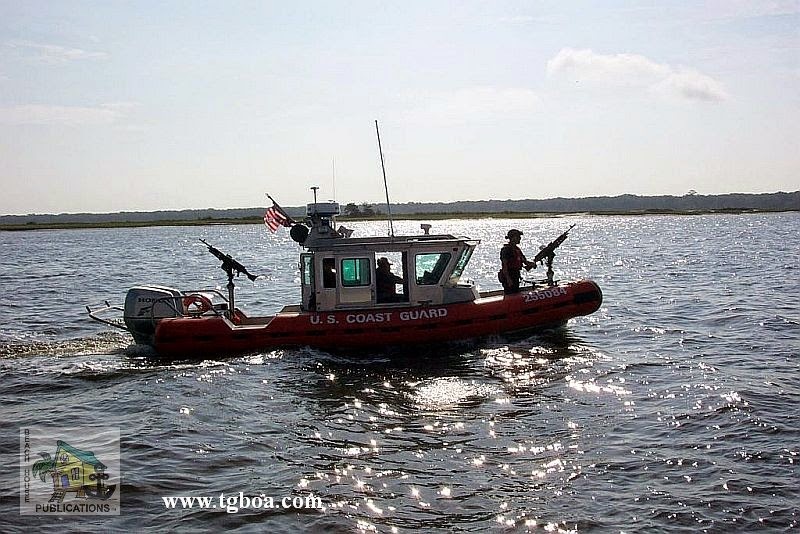 Boardings by law enforcement officers on the water have always been a touchy subject for many boaters. It’s often heard that such actions are considered anywhere from a minor inconvenience to a violation of our Constitutional rights. The truth and reality lies somewhere in between. There are still many misconceptions and misinformation in the boating community as to what can and can’t be done when you hear the dreaded command, “prepare to be boarded.” What are our options? Can we refuse? Are our rights being violated? The answers are simple yet complicated and may not be what many want to hear or to believe. After 10 days in Apalachicola and a great Thanksgiving celebration with all of the other boaters, the break we had all been waiting for finally came. The gale force winds in the Gulf subsided, the waves returned to manageable levels, the rain stopped and the sun finally came back. On Friday morning there was a mass exodus as the parade of vessels made their way under the highrise bridge and out into St. George Sound. The faster boats quickly disappeared on the horizon and the more conservative boats stayed in the marked channel, avoiding any shortcuts. Beach House has never been known for rigidly following every channel unless there is no other choice. 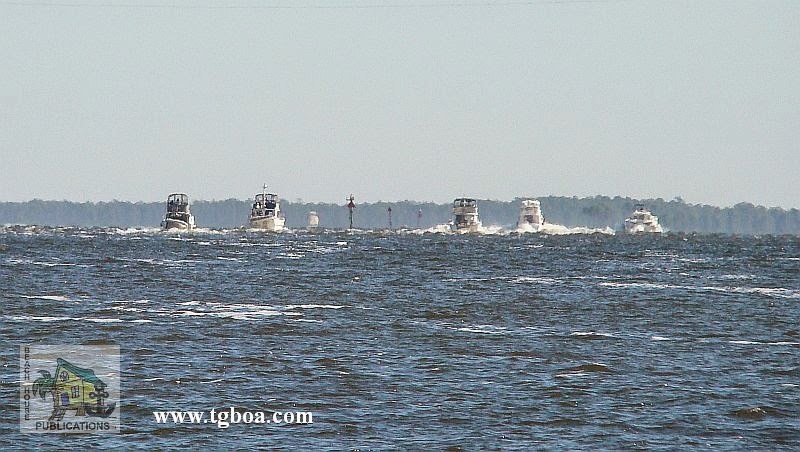 While some boats added miles by transiting all the way out the Apalachicola approach channel, we turned off and headed across the Bay, shaving several miles off the day's run. If there is enough depth for our draft, we will take any shortcut available.